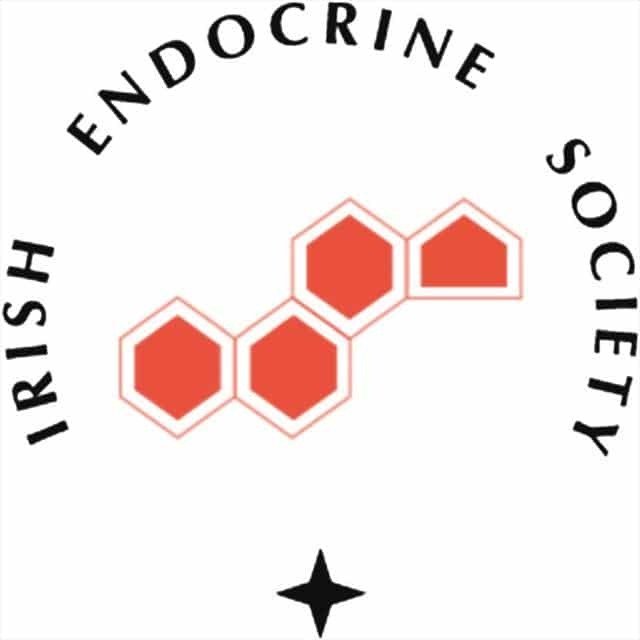 The 42nd Annual Meeting of the Irish Endocrine Society (IES) will take place in the Clayton Hotel, Cork, on 19-20 October. As usual, the meeting will feature a mix of the best international and national research in endocrinology from both clinicians and clinical scientists. At the Paediatric Symposium, which is taking place on the Friday morning, Prof Ola Nilsson, Professor of Endocrinology, Karolinska Institute and University Hospital Stockholm, Sweden, will deliver a talk titled ‘Growth disorders in puberty — lessons to be learnt from ACAN deficiency and other genetic growth disorders’. The ACAN gene provides instructions for making the aggrecan protein, which is known as a proteoglycan. According to the US National Library of Medicine, aggrecan attaches to the other components of cartilage, organising the network of molecules that gives cartilage its strength. These interactions occur at a specific region of the aggrecan protein called the C-type lectin domain (CLD). Aggrecan attracts water molecules and gives cartilage its structure as a result of the attached sugars. This feature enables the cartilage to resist compression, protecting bones and joints. Although its role is unclear, aggrecan affects bone development. The US National Library of Medicine describes two conditions associated with short stature: Spondyloepimetaphyseal dysplasia, aggrecan-type; and spondyloepiphyseal dysplasia, Kimberley-type, which are caused by mutations in the ACAN gene. People with spondyloepimetaphyseal dysplasia, aggrecan-type, have extremely short stature, short fingers and toes, and distinctive facial features. This condition is caused by a mutation that changes the amino acid at position 2,267 in the aggrecan protein from aspartic acid to asparagine (Asp2267Asn or D2267N). The amino acid change, which occurs in the CLD, alters aggrecan’s interaction with at least one component of the cartilage network. Spondyloepiphyseal dysplasia, Kimberley-type, is characterised by short stature and early development of osteoarthritis, particularly in the knees, ankles and hips. This condition is caused by a mutation in which a single DNA building block is inserted into the ACAN gene, which could disrupt the gene’s instructions and lead to the production of an abnormally short aggrecan protein that is missing the CLD. Prof Nilsson is sure to provide an insight into the relationship between the ACAN gene and growth disorders. The Hadden Lecture, which is always delivered by an international expert, will be given by Prof Bernard Zinman, Mount Sinai Hospital and the University of Toronto, Canada. Prof Zinman, a clinician-scientist at Mount Sinai, is a recognised leader in the field of diabetes. His research focuses on the prevention of the long-term complications of diabetes, new treatments for diabetes, and diabetes in high-risk populations. His research holds promise for increased understanding of how to deal with this growing, global epidemic. For more than 25 years, Prof Zinman has played a key role in the Diabetes Control and Complications Trial, the largest and most comprehensive diabetes complications study ever conducted in type 1 diabetes. This pivotal study demonstrated that keeping blood glucose levels as close to normal as possible slows the onset and progression of eye, kidney, and nerve complications caused by diabetes. One of the most cited diabetes studies in the world, this study had a global impact on treatment of type 1 diabetes patients and the occurrence of complications. Prof Zinman is Director of the Leadership Sinai Centre for Diabetes, a unique, multidisciplinary outpatient unit that is one of the largest diabetes clinical research units in Ontario. Under his leadership, the Centre integrates clinical practice, research and education for those with diabetes and their families. The title of his talk is ‘The impact of recent CVOT on the management of type 2 diabetes: Are we ready for a paradigm shift?’ In December 2008, the US Food and Drug Administration issued guidance to the pharmaceutical industry setting new expectations for the development of anti-diabetes drugs for type 2 diabetes. The FDA was responding to prevailing concerns about the potential for increased CVD risk associated with certain anti-diabetes drugs. This guidance expanded the scope and cost of research necessary for approval of such drugs by mandating long-term cardiovascular outcomes trials (CVOTs) for safety. Since 2008, nine CVOTs have been reported, 13 are under way, and four have been terminated. As of the beginning of this year, each of the completed trials demonstrated the non-inferiority of their respective drugs to placebo for their primary cardiovascular (CV) composite end-point. Notably, four additionally provided evidence of CV benefit in the form of significant decreases in the primary CV composite end-point, two suggested reductions in CV death, and three suggested reductions in all-cause mortality. Dr Paula O’Shea, Consultant Clinical Biochemist, Galway University Hospital, will deliver the McKenna Lecture. She has more than 30 years experience in clinical laboratory science methodologies, practice and research, with over 40 publications in scientific and medical peer-reviewed journals, a PhD in clinical medicine awarded by Trinity College Dublin and is a Fellow of the Royal College of Pathologists United Kingdom (by examination). She was recently awarded the Professional Diploma in Professional Regulation undertaken at the Peter Sutherland School of Law, University College Dublin. She is a past-president of the Association of Clinical Biochemists in Ireland (ACBI) and current member of its Council and Scientific Committee. The title of Dr O’Shea’s talk will be ‘Triumph in testing times’. This talk will highlight the importance of clinical biochemistry and interdisciplinary working to the patient journey and will showcase collaborative research that led to significant service developments in the investigation of primary aldosteronism at GUH. The meeting will also hear presentations from clinicians on the best research in endocrinology currently taking place across the island of Ireland. These presentations will be delivered by both clinicians and clinical scientists. One anticipated presentation, based on research from the Galway Diabetes Research Centre, examines whether gestational diabetes (GDM) diagnosed before 24 weeks is associated with worse pregnancy outcomes despite early treatment, when compared with GDM diagnosed at 24-to-28 weeks’ gestation. For the study, a retrospective cohort study was carried out of 1,471 pregnancies from women with GDM diagnosed using IADPSG (International Association of the Diabetes and Pregnancy Study Groups) criteria. Another presentation on GDM will examine ‘Predictor factors of hypertension induced in pregnancy in women with gestational diabetes mellitus’. GDM is associated with an increased risk of pregnancy-induced hypertension (PIH). Ambulatory blood pressure monitoring (ABPM) has been used to screen for PIH and pre-eclampsia. Currently, little is known in GDM about the role of inflammatory biomarkers in PIH development and their impact on perinatal morbidity. With this study, the aim was to identify in women with GDM inflammatory markers and BP profiles (detected by ABPM) that could define a population at higher risk of developing PIH and pre-eclampsia. Presentations will be delivered on a range of other subjects, including: Microwave ablation of the adrenal gland for treatment of functioning adrenocortical tumours; the effect of sodium glucose co-transporter-2 inhibition on the aldosterone/renin ratio in type 2 diabetes mellitus; and an examination of galectin-3 levels in lean and obese adults and children. At the end of the meeting, the presentation of Irish Endocrine Society O’Donovan Medal will be made for the Best Oral Presentation, along with the Montgomery Medal for Best Poster Presentation. The IES Summer Student Award Presentations see other presentations on interesting endocrinology-related research. This year, the presentations are as follows: ‘The impact of diabetes mellitus on bone marrow progenitor cell number and proliferative capacity’ (Mr Alan Keane, Galway University Hospital); ‘Does diabetic ketoacidosis at diagnosis of T1DM predict poor long-term glycaemic control?’ (Ms Louise Kelly, University College Cork); and ‘Phenotype, genotype and glycaemic variability in subjects with activating mutations in the ABCC8 gene’ (Ms Fionnuala Reilly, University College Dublin). All in all, the meeting promises to offer a fascinating perspective on the current state of research in endocrinology.